If you have decided to take advantage of the tighter security, automation, and integrations that Lucidchart provides, we have good news for you: you can transfer your draw.io documents seamlessly with our import feature. Don’t do the work twice. Once you’ve decided to make the switch to Lucidchart and take advantage of its advanced functionality, simply import draw.io diagrams and keep working where you left off. Export your draw.io files by selecting File > Import > XML. Choose the “Compressed XML” option. Log in to your Lucidchart account. On the “My Documents” page, select Import > draw.io (beta). Click “View Diagram” to open your imported draw.io file. 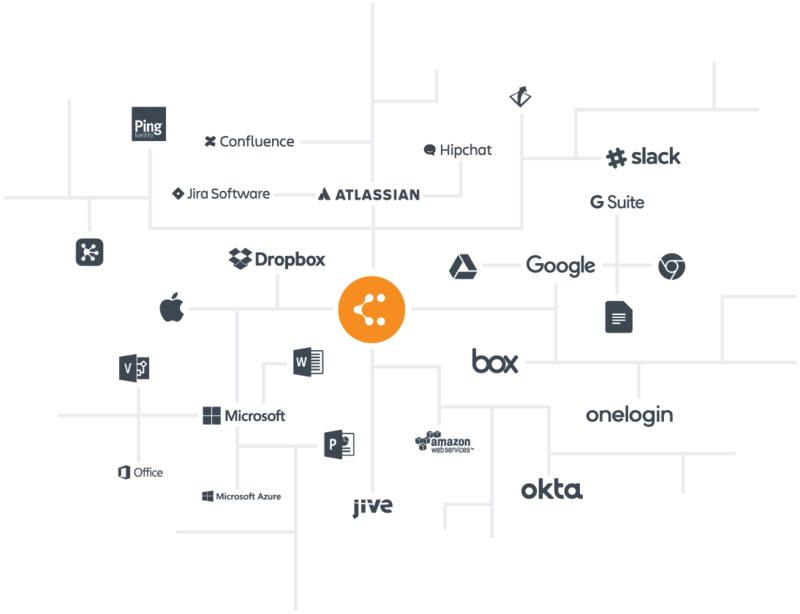 Import draw.io diagrams into Lucidchart and share them with the applications you already know and love. Our product integrates seamlessly with Atlassian Suite, G Suite, Microsoft Office, and more. 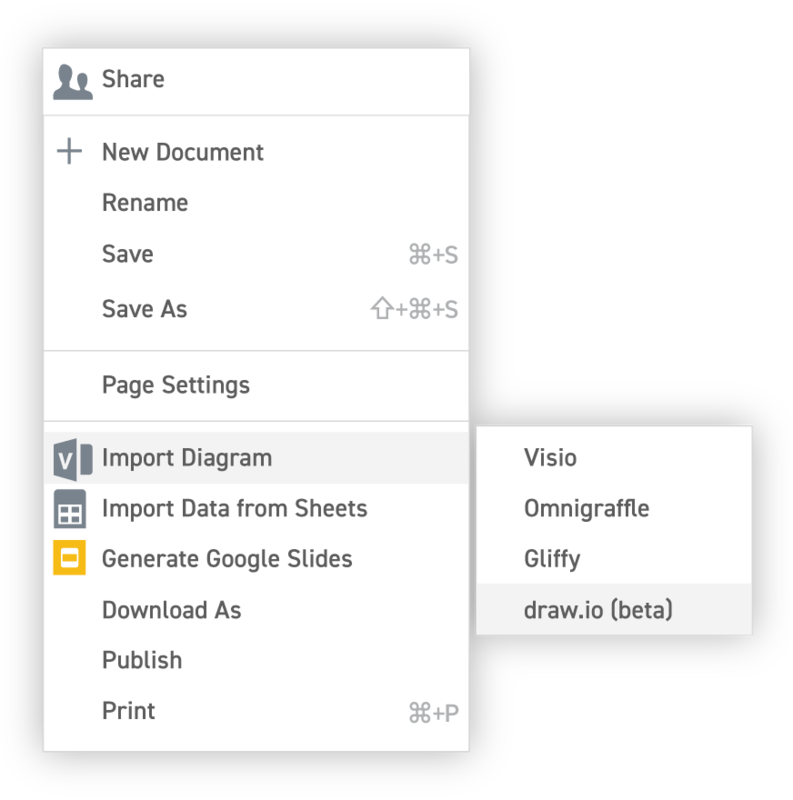 With Lucidchart’s automation features, diagramming on imported draw.io files is easier and more efficient. 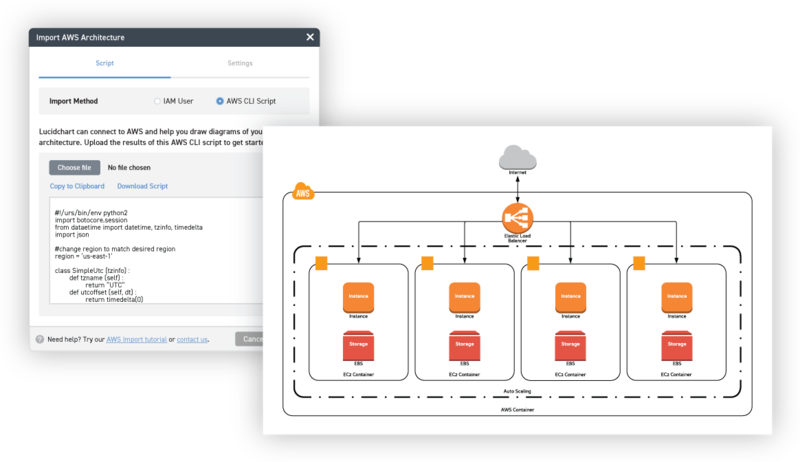 Automatically import AWS infrastructure, connect Lucidchart shapes to live data in Google Sheets, generate UML diagrams from text markup, and more. In addition to advanced functionality, Lucidchart also offers next-level security. 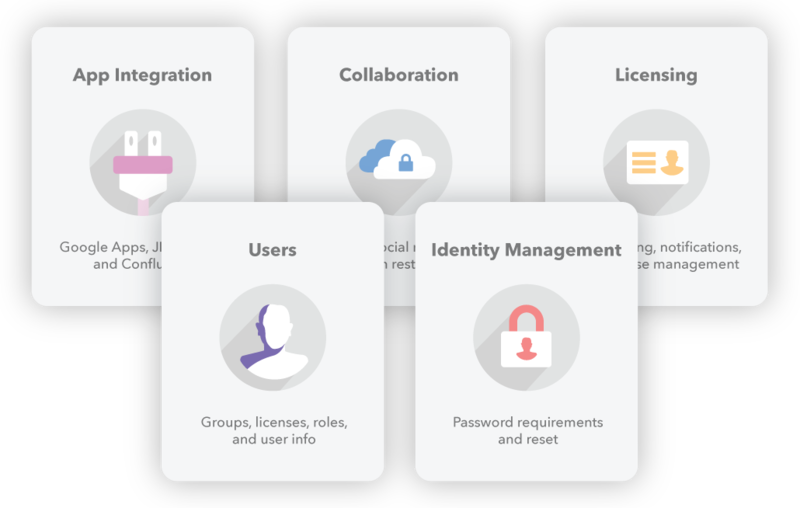 With the ability to limit sharing by domain and to require SSO authentication via Google, OneLogin, Okta, or Ping, you never have to worry about the safety of your documentation.